Americana Village Suites is a 74 unit all-suite property half mi from the casinos and the Heavenly Gondola. Our Year Round Heated Pool is kept at a luxurious 86. Kids young and old love to play in the pool at night under the stars and its especially fun in the winter when the snow is falling. The hot tub is 104 of relaxation and our Dry Sauna is a Tahoe rarity. The kitchens and kitchenettes come loaded with dishes plates cutlery cookware and small appliances to go with the refrigerator microwave and 2 burner electric hotplate or cooktop. Were 5 minutes to Heavenly Gondola casinos concerts entertainment and shopping outdoor water ski and mountain sports. On shuttle bus route to the slopes summer trolley route to beaches. Spacious Suites ideal for spreading out and feeling at home featuring distinct living and kitchen areas. Queen sofa sleeper in living area armchair Big Screen TV CD and DVD player free DVDs at Front Desk. Free Wi-Fi. Continental Breakfast. DVDs Bike And Seasonal Equipment Rentals. Private Beach Pass. On-site Laundry and Public Computer/Printer. Coffee And Popcorn all day. Year round BBQ grills and outdoor fire pits. Picnic tables seasonal. Basketball volleyball kids sandbox play area with rock climbing wall and slide non-winter snow play area winter. Activity Center offers free daily hosted group activities to enhance your stay and help create lasting memories. Americana Village Suites is half mile west of the NV casinos and Heavenly Gondola. Were on the local shuttle/bus route and close to ski slopes private beach free access movie theaters shopping dining entertainment and nightlife. Public parks water sports snow sports boating hiking and bike trails fishing horseback riding snowmobiling rock climbing all within a 15 min. drive. 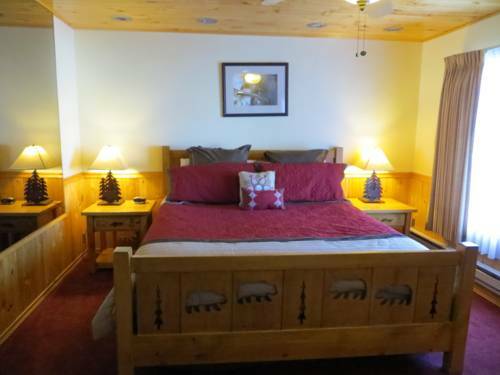 Lake TahoeAmericana Village Suites is half mile west of the NV casinos and Heavenly Gondola. On local shuttle/bus route close to ski slopes private beach free access movie theaters shopping dining entertainment and nightlife.